Tom Hardy is one of the most handsome men in Hollywood but he is also an actor that regularly takes on roles that require most of his face to be covered. In many of Hardy’s most recent films, that includes The Revenant and Mad Max: Fury Road, he has had to conceal his rugged mug with a mask or even a burly beard. Fans have always been confused as to why this has been the case but Hardy’s long-time collaborator Christopher Nolan has finally shed some light on the matter. 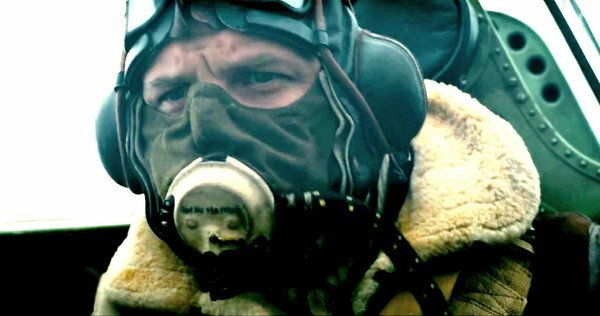 Hardy is currently starring in his third Nolan film, Dunkirk, as a Royal Air Force pilot who spends nearly the entire film wearing an oxygen mask. Even though he is beard and mask free in Inception, he does star as the intimidating masked terrorist Bane in The Dark Knight Rises, perhaps his most famous role to date. The director revealed to the Press Association why he once again decided to conceal Hardy’s face in Dunkirk. I was pretty thrilled with what he did in The Dark Knight Rises with two eyes, a couple of eyebrows and a bit of forehead so I thought let’s see what he can do with no forehead, no real eyebrows, maybe one eye. Of course, Tom, being Tom, what he does with single eye acting is far beyond what anyone else can do with their whole body. That is just the unique talent of the man, he’s extraordinary. Nolan is right! Hardy does indeed have the hardest working eyes in Hollywood but he always blows us away with every performance despite his face being covered. This is once again the case in Dunkirk, a film which is being applauded by critics around the world with Hardy’s performance regularly receiving a positive mention. Dunkirk is currently out in cinemas now. Check out our five star review here.